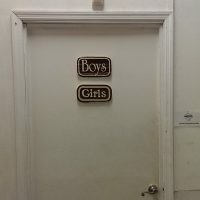 The Democratic governor of North Carolina has submitted a consent decree allowing “transgender” residents to use the restrooms that align with their “gender identity” in an effort to end a lawsuit filed by the American Civil Liberties Union (ACLU) over the matter. “The executive branch defendants, in their official capacities, and all successors, officers, and employees are hereby permanently enjoined from enforcing Section 2 of H.B. 142 to bar, prohibit, block, deter, or impede any transgender individuals from using public facilities under any executive branch defendant’s control or supervision, in accordance with the transgender individual’s gender identity,” the decree reads in part.